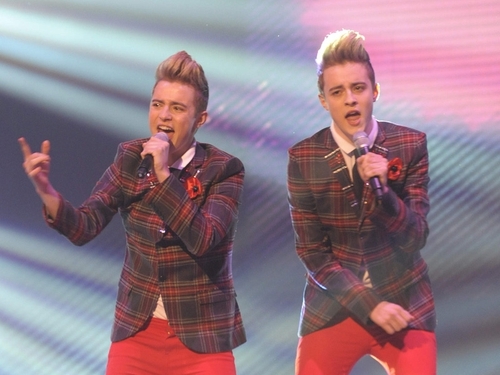 Former 'X Factor' stars John and Edward Grimes have said that they are "so excited" about their appearance on this year's 'Late Late Toy Show'. Speaking to Will Leahy on RTÉ 2fm yesterday, Edward said: "Aw yeah, the 'Toy Show', we're so excited, like we're going to be on the 'Toy Show'. We look at it every single year." "It's kind of cool because it's Ryan Tubridy's first show and it's going to be really memorable." Read our 'X Factor' blog and comment here. 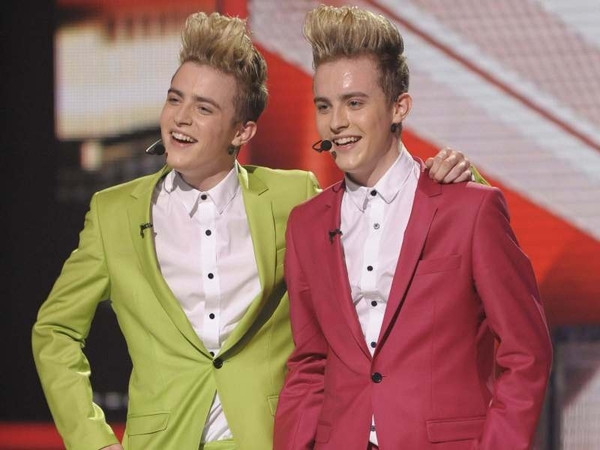 Speaking about their new-found fame, he said: "The last time we left Ireland... no-one knew who we were and then when we came back everyone was like 'whoah John and Edward'... now we don't have to introduce ourselves because everyone knows us." Speaking about the audience members who booed them during their time on the show, Edward said: "There was so much fan support out there that we couldn't let that get to us because thousands of people auditioned for the show and we didn't want to let people bully us off stage because they were booing us." Referring to their hairstyle choice, John said: "We never knew there was going to be such a major thing about it. It was always around... I think a lot of people could have our hair, just gel up their hair instead of having it down." When asked if they ever argued, he said: "The thing about me and Edward is that we never fight or have any rows because if we ever had a row I'd just be arguing with myself because he's my twin." John also said that they would love to see Stacey Solomon winning the show. "I think we'd love it if Stacey won the show... because I feel that she's a genuine person and she knows who she is and she's the same off camera and on camera and I feel that she does a great performance every single week." For more on 'The Will Leahy Show' click here.